In these times of crisis we must sharpen their wits to get ahead. Banks do not forgive . All of us , or nearly all, have mortgages and the work or , better said the income , is scarce. Even if we are one of the lucky ones who earn the same as a while ago , the money does not reach us . Everything is much more expensive : from light, to taxes , to the food, which is basic and necessary ! And what do you do in this situation? So, in this situation of uncertainty , many Spaniards have chosen to rent their home. And hence sites like Airbnb proliferate on the Internet . And, this phenomenon occurs not only in Spain . 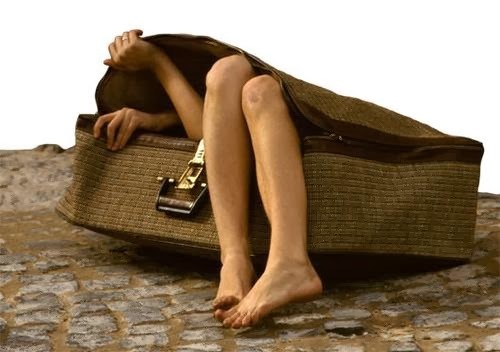 Many citizens of countries considered until recently as "rich" countries which , either for survival or for extra money, have chosen to be the ones that move from their home. They move between booking and reservation. Their home is their friend´s home, or their parent´s home , just to be able to pay your mortgage debts , or just to have money to eat . What do you think of this story ? Are you one of those owners who rent their home to cope with the cost of the mortgage? We will deepen this topic , because it has a lot of substance ... and much to discuss . I think ! And if while you rent your home, you need a seasonal rental in Madrid, do not forget to visit our web www.homesfortravellers.com. Our apartments are fully equipped with everything you need to live. All you need to bring your personal stuff!